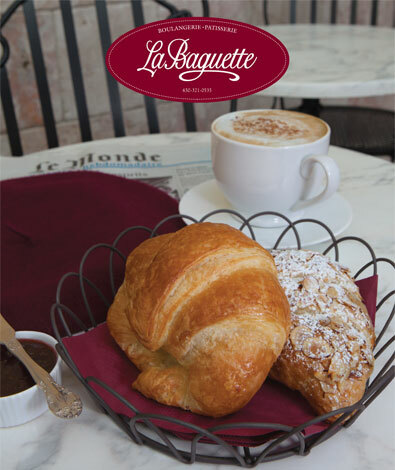 La Baguette | FineLine Graphics & Design, Inc.
Super graphics have taken on a whole new look in promoting the yummy treats offered by a brand new bakery, La Baguette, located in Stonestown Galleria in South San Francisco. 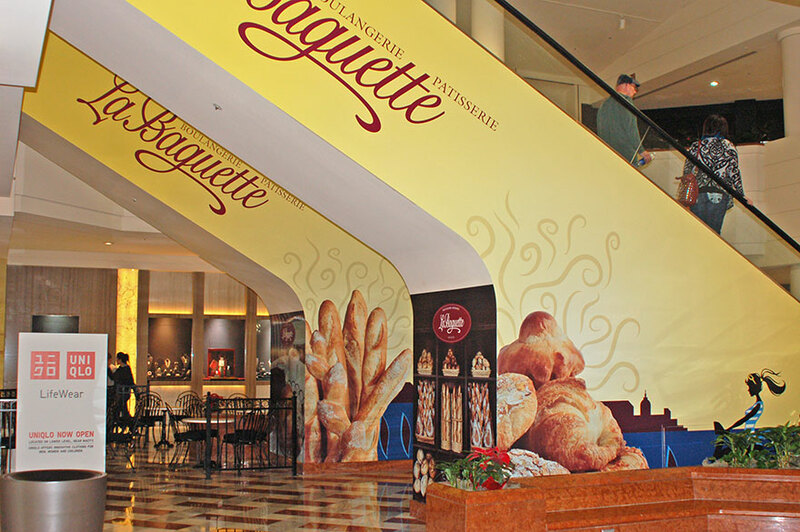 The French branded graphics cover four side panels of the main escalators leading to the La Baguette bakery. 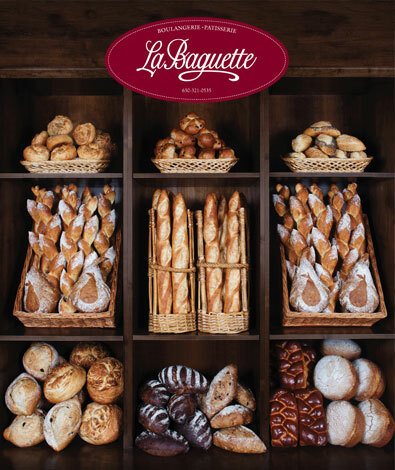 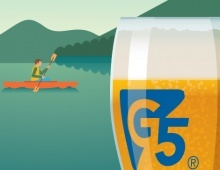 A traditional Parisian illustration style, coupled with tempting photos of the delicious bakery and lunchtime faire, bring the new brand to life. Escalator 1: Walls A and B and End Cap. 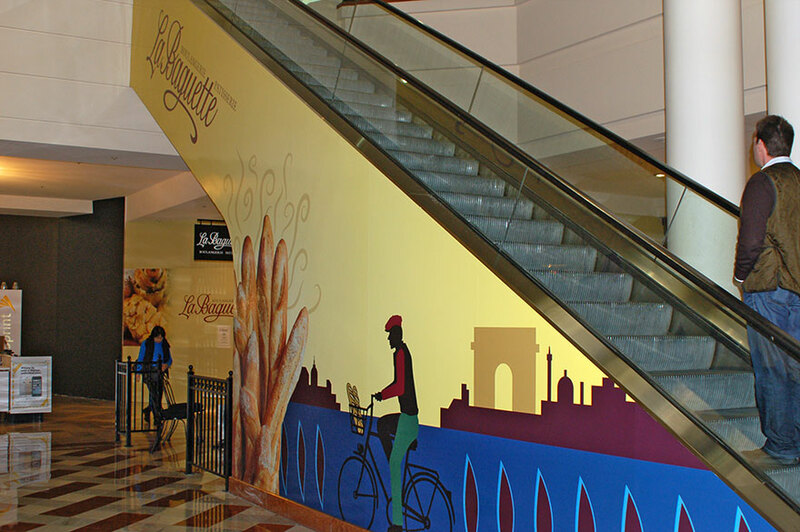 Escalator 2: Walls A and B and End Cap.